Backpackers Paradise, Punta Arenas, Chile : Rezerwuj teraz! Backpackers Paradise is located in one of the most relevant cities of Patagonia, Punta Arenas. Our facilities are cozy and fully equipped, so this is the perfect match to meet other travellers and guests from all around the world. We will be more than pleased to welcome and host you in our facilities. We are located in one of the best locations of the area, near to some of the finest attractions and most relevante landmarks such as Palacio Sara Braun, Catedral de Punta Arenas, Monumento Hernando De Magallanes, Museo Regional de Magallanes and Museo del Recuerdo. In addition, one of the most important natural spots of Chile, Reserva Nacional Magallanes, is quite near from our facilities as well. 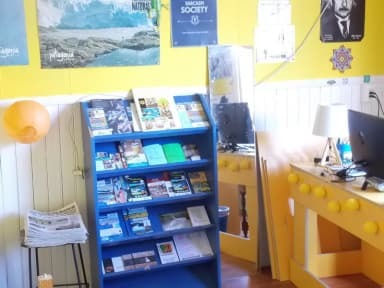 Backpackers paradise, has 5 rooms with shared rooms with capacity for 32 travelers, a large dining room and a kitchen equipped with everything you need. 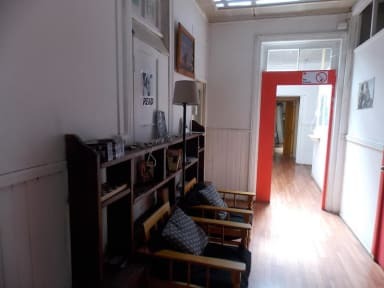 in the hall you can find books with a reading area, we have 2 living rooms to relax and exchange travel tips, barbecue area on the backyard and also in the basement we have a video game machine (arcade) and a table ping-pong.